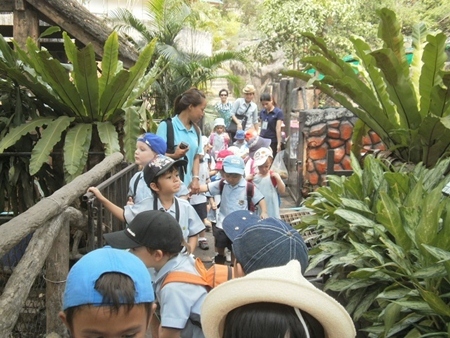 Nursery students from Garden International School (GIS) recently enjoyed a trip to Khao Kheow Zoo. They began by feeding the Elk Deer and soon discovered they needed to be extra quiet in order to befriend them. After a while everyone was offering the deer Chinese snake beans. After this they stopped to look at the zebras and the giraffes and then they visited the hippos and offered them plenty of food. 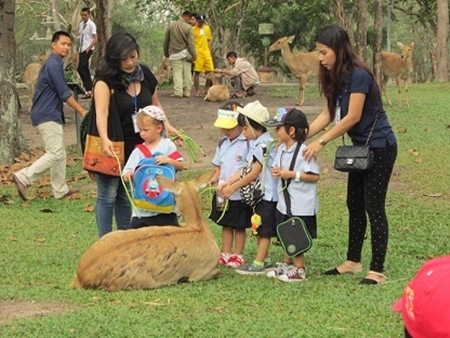 After this, it was time to see the elephants, including a cute baby one, which students were able to gently stroke. On the way to lunch, the students had a chance to say hello to the white lions. This was a great day out for all the students and allowed them to continue their learning in a practical, enjoyable manner. 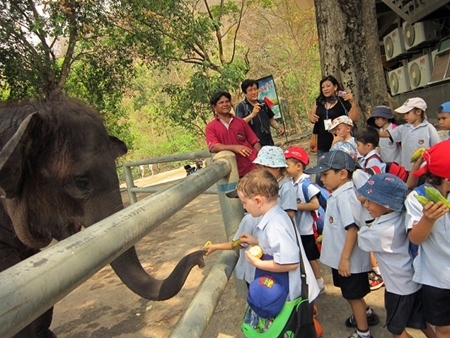 Feeding the elephants at Khao Kheow. The Elk Deer were full of beans – literally. 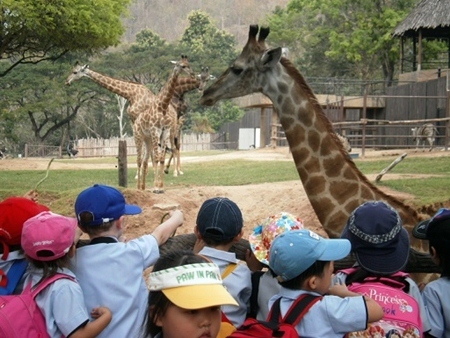 GIS students wondering who they’re about to meet at the zoo.